A defunctioning ileostomy is often formed during rectal cancer surgery to reduce potentially fatal sequelae of anastomotic leak. Many patients suffer poor bowel function, i.e. low anterior resection syndrome (LARS), once their ileostomy is closed and delay to closure can increase incidence of LARS and significantly reduce quality of life. Despite this, time to closure of ileostomy is not subject to national targets within the NHS and delay to closure exceeds 18 months in a third of patients with a temporary ileostomy. Clinical factors, surgeon and patient preference or service pressures may all impact time to closure yet to date no study has investigated this. 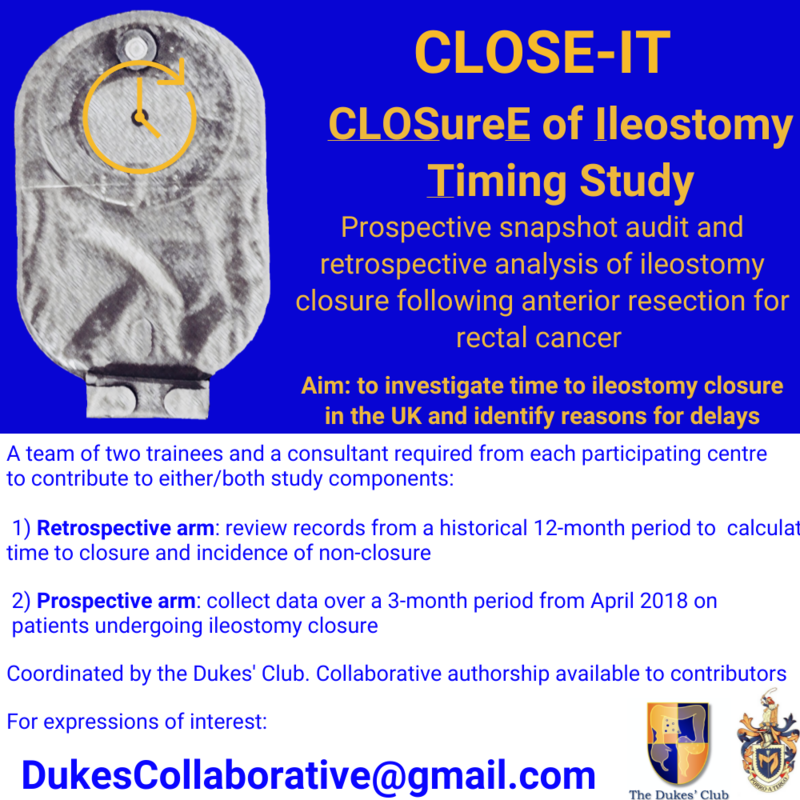 The aim of this UK-wide study is to assess time to ileostomy closure and identify reasons for delays. Results will inform consensus guidelines on optimum treatment pathways following temporary ileostomy formation. What is the CLOSE-IT study?